Wodonga is set to have a new, picturesque community surrounded by hills, bushland and waterways. 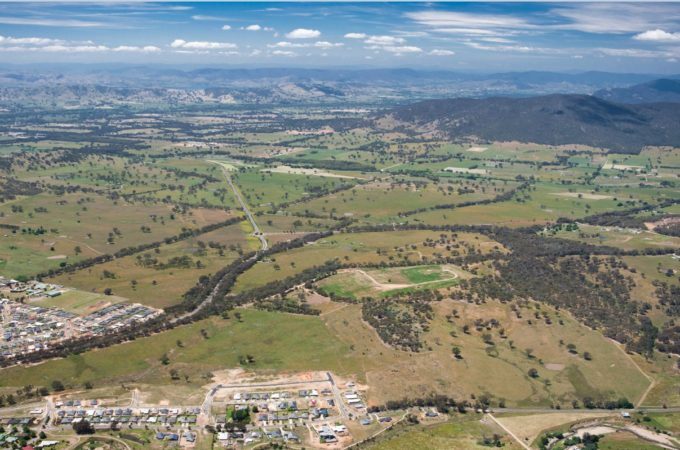 Minister for Planning, Richard Wynne, has approved the Leneva-Baranduda Precinct Structure Plan for the growth corridor to Wodonga’s south-east. The community will take in 1062 hectares of land covering the area north of Middle Creek and Baranduda Boulevard. The plan allows for the development of 6,000 new dwellings over the next two decades, to accommodate 15,000 residents. In addition, land has been reserved for two future government schools. Developers will contribute funds towards local recreation, transport and drainage infrastructure over the life of the development. Residents will have access to retail, jobs, and community and education facilities in the Baranduda town centre, Leneva local centre and Bears Hill community hub. The precinct will have regionally significant sporting complexes, including the Baranduda Fields Sports and Recreation Facility, which will host a range of sporting competitions and recreational activities. In addition, Baranduda Boulevard will be widened to four lanes, to provide access in and around the new community. Active travel by walking and cycling will be encouraged through a network of cycling and pedestrian paths adjacent to the Wodonga retained environment network. The plan was created by Wodonga City Council in partnership with the Victorian Planning Authority (VPA).